spiny fruit above the top of the thorn scrub trees. Typically when you think of a cactus, especially a large cactus, you think of the dry, dusty deserts. A classic saguaro in Arizona or the silhouettes of opuntias on the sunset horizon in Chihuahua. 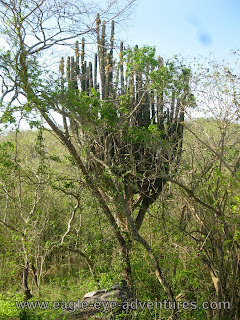 But there are cacti just about everywhere in Mexico, even the places that you might think of as a tropical paradise. One large cactus that is widespread along the west coast of Mexico is Pachycereus pecten-aboriginum. 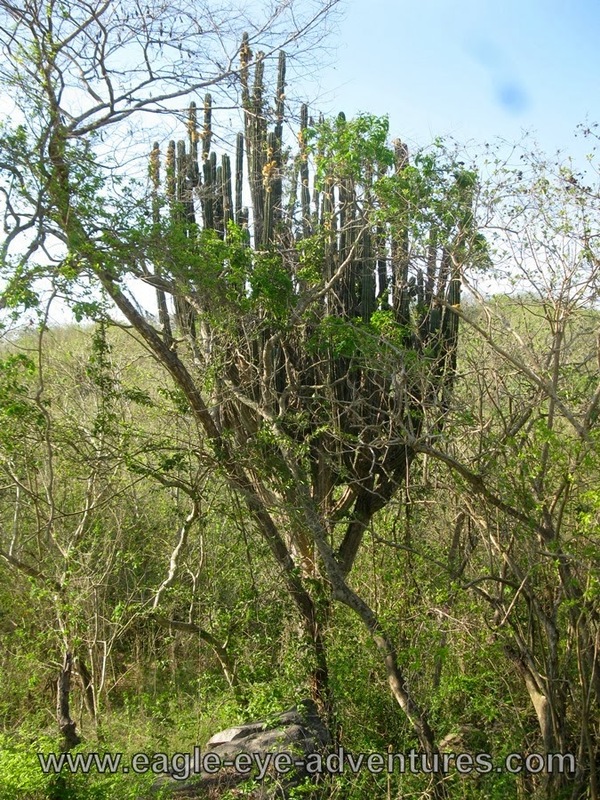 Named for the use of its spiny fruit by the indigenous populations as a comb, this large tree-forming cactus grows in the thorny tropical dry forest. In tropical dry forests (TDF), the plants typically go through two seasons, the rainy season during the northern hemisphere's 'summer' months and an extremely dry season during out 'winter' months. Similar to the trees going deciduous in our cold winters, the trees and plants of the TDF also go dormant and lose their leaves, but in response to the drought conditions, not the cold! This makes it a wonderful time to see the epiphytes and succulents. The pictures here are after the first couple of rains, so the trees are just starting to leaf out and beginning to obscure the view of these cacti. We will see these plants on our trips to Puerto Vallarta when we head out to the peaceful resort on the beaches of Cabo Corrientes. 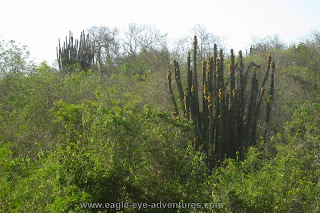 While these are large cacti in the state of Jalisco, we will see even larger Pachycereus on the trip to Oaxaca (January 2014).